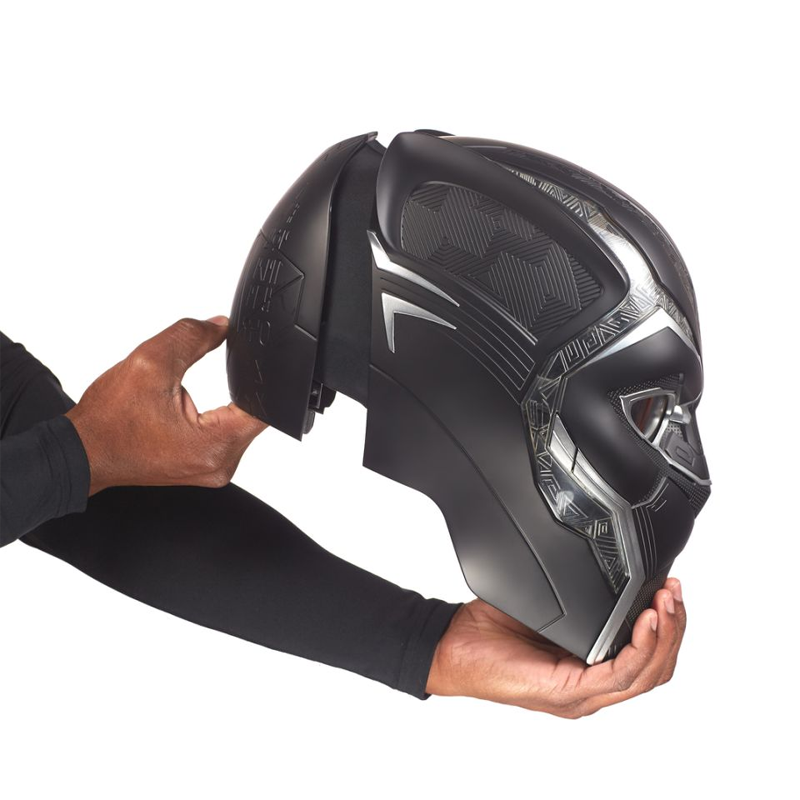 Black Panther's merchandise line already has a small, nifty version of T'Challa's mask for kids. But for the kid at heart with money to burn, a full version of his updated Panther mask from the film is coming to tempt you later this year. Yahoo revealed Hasbro's latest entry into its collector-focused Marvel Legends line of replica props today, and it's naturally quite the upgrade from the small "Vibranium Power FX" mask the company is currently selling ahead of the movie. You'd hope so, considering this new mask is a hefty $US100 ($124). 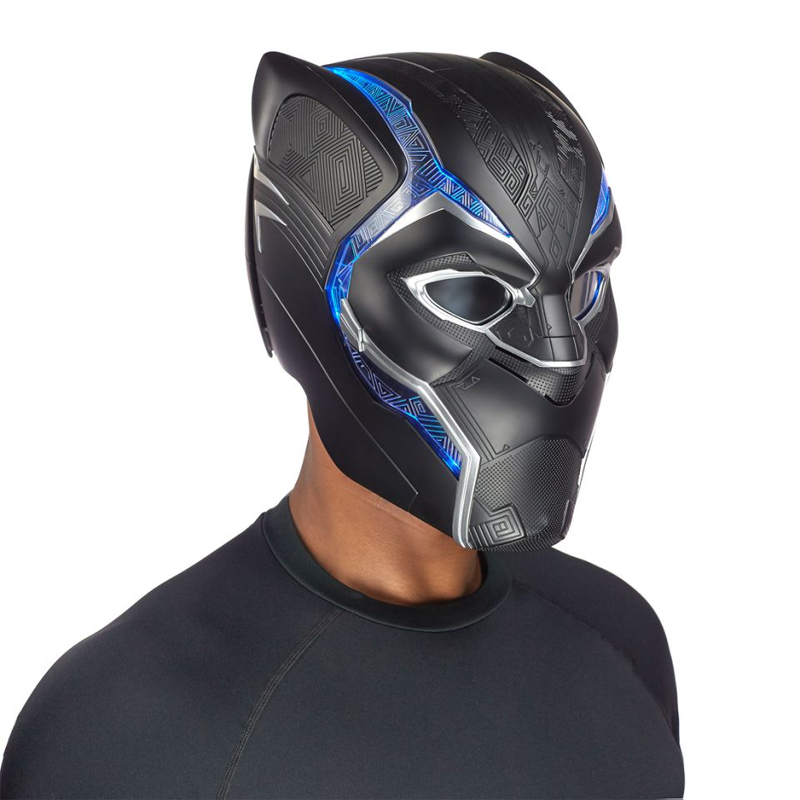 That $US100 ($124) gets you a full mask that can fit a variety of head sizes, covered with intricate detailing added to the new version of T'Challa's suit that Shuri develops in the movie. As well as a "normal" mode where the mask's eyes are uncovered, you can also switch the headgear into a vibranium-powered mode, pulling down eye visors and activating a blue vibranium-tech lighting all over the mask. Presumably you can still see out of those visors, otherwise it seems like a mode exclusively designed to make you bump into things in a very stylish manner. 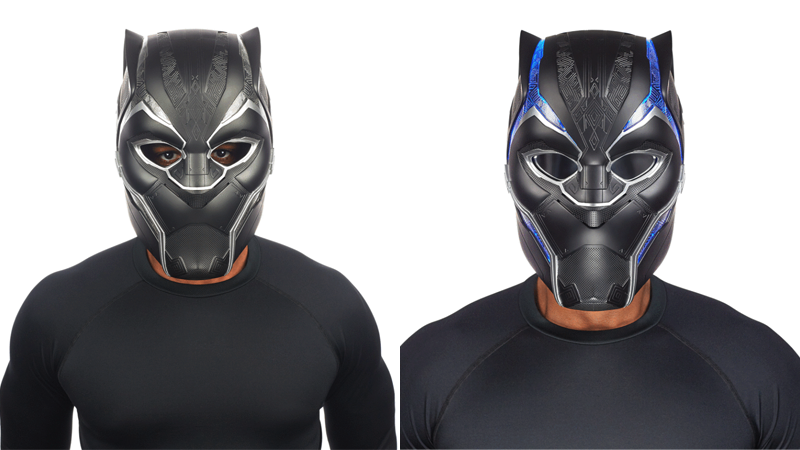 Sadly, you won't be rolling up to a midnight screening of Black Panther this month rocking one of these new masks - it won't be available until spring. Probably for the best, really. I would imagine wearing a full helmet that hampers your vision is not the best viewing experience inside a dark theatre.